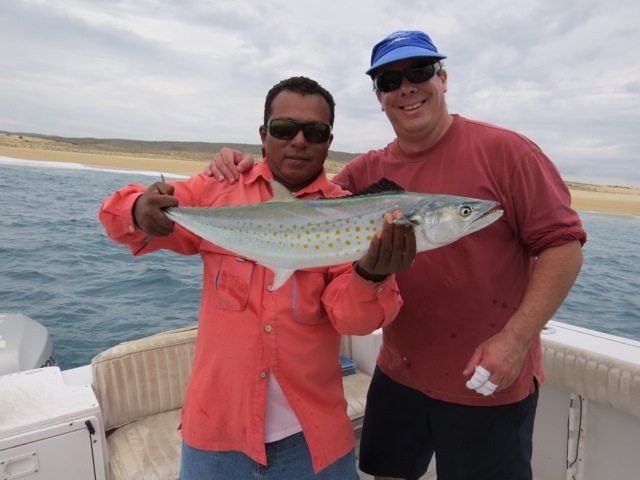 I wanted to take the time to thank you and your team for an absolutely amazing salt water fly fishing and light tackle experience. We had a great time. Your skipper and deck hand were great coaches and very patient as we learned to cast that heavy fly with the 10 weight rod into the wind. We will definitely be back. We are hooked! 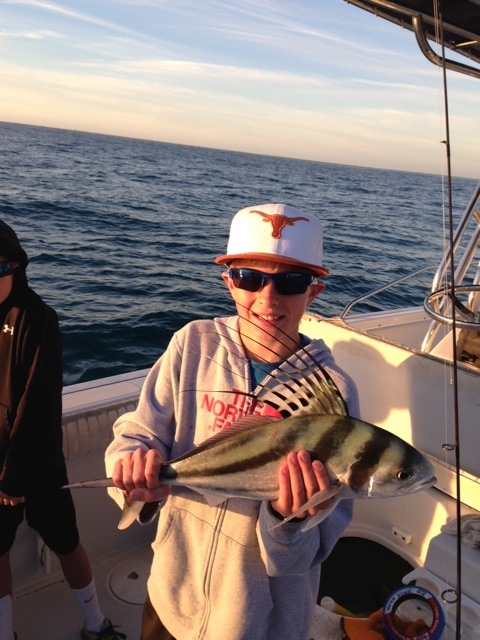 I am a little disappointed however, that Brett caught a bigger Rooster Fish than me. This will need to be remedied next time! Thank you again and I hope you have a successful season. We had a fantastic time fishing with the Baha crew over the holidays. Very friendly and accommodating from the organization of the day to the crew on the water! 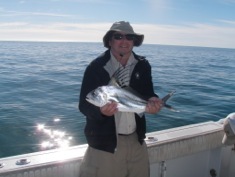 Gorgeous weather…..caught fish….didn't have to shovel snow…..was a fantastic couple days. I see why Bruce recommended you. I will do the same!! 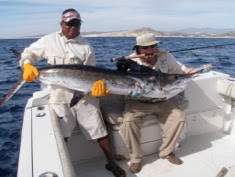 I just wanted to drop you a quick note to let you know I had a great time fishing in Cabo. It was definitely a welcomed challenge. Your staff was professional and very helpful (which is always appreciated). The Clouser Minnow recommendation was very good. I brought down about a dozen, which were also ripped to shreds by the Sierra Mackeral's impressive teeth. It was my first time catching a fish on a fly I tied, which was an amazing experience. Keep up the good work, and I look forward to coming back to visit you in the near future. Mark Pharo has a great trip! Mark is all smiles... He and his brother Randy, had a great trip. 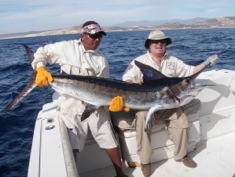 Marlin on the fly, dorado, sierras and roosters, all on the fly... What a great fishery we have here in Cabo. Man I love it here. We're back in Vancouver. A quick note to say we had a great experience on the weekend. Great guides and I love the boat set up. We have a group of 6 guys that own a house in Palmilla. I've already passed along your information and I'm sure you'll be hearing from them, and me, in the very near future. 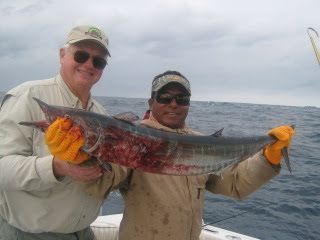 Randy Fitzgerald from Texas caught this beautiful striped marlin on the fly with Arturo yesterdy. Only in Cabo baby, Man I love it here! The inshore fishing is super right now for roosterfish, jacks, sierras and snappers.. Actually most of our guests want to fish more days, but we have been booked, we had a few afternoon trips open and they booked quickly... 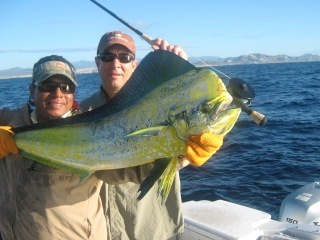 The marlin fishing is very good right now....expect 2 to 4 shots a day, with a few shots at dorado. 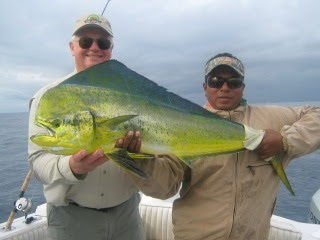 Below is my Amigo Henrik from Holland with a fly caught dorado. 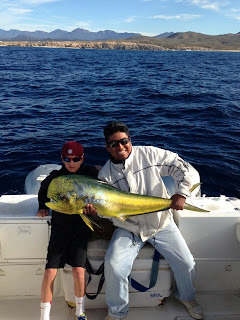 Can anyone say fish tacos baby! Nice rooster! lots of fun on the water! 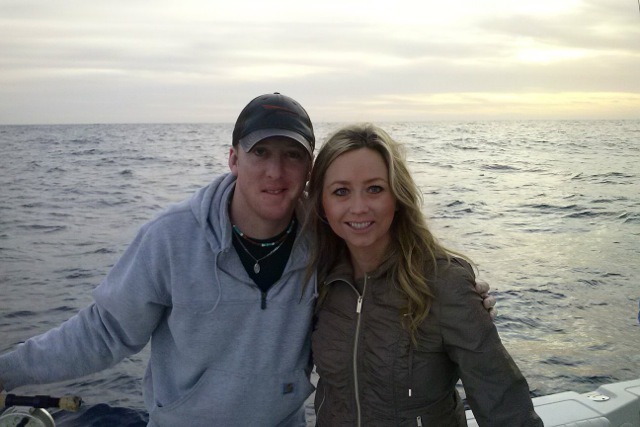 Greg and Trisha Amberson having a good time in Cabo! James had a great time! 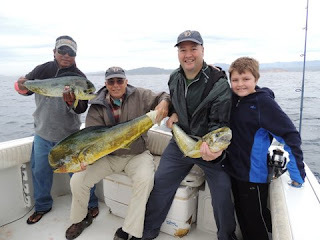 3 generations of fisherman! The weather is fantastic. At last things are starting to shape up and I mean shape up.. we had two weeks of clouds, and even some rain over the holidays and then we had a few more cold fronts quickly pass through bringing the morning temps into the low 60s.. Thats just way too cold for Cabo. Now things are back to normal, beautiful sunny days and good tug on the end of your line, with a cold Pacifico and Ceviche waiting after fishing... Now thats Cabo! The marlin fishing is still good. Both fly and light tackle... As I thought. now with the water temperatures down the marlin continue to migrate south from Mag Bay. 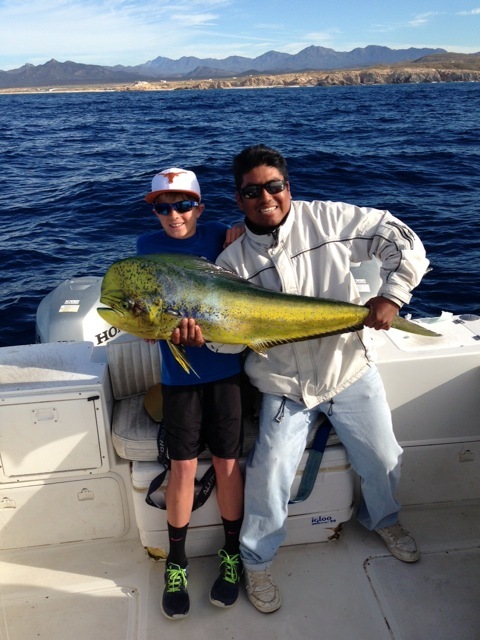 The dorado fishing has slowed down, but if you are lucky you can catch a few or even get into a school and catch a bunch. 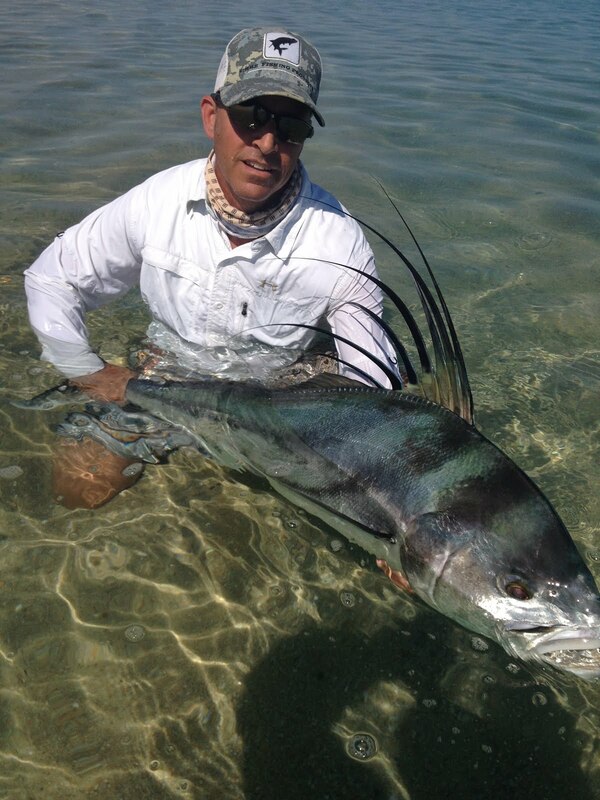 The Inshore fishing has taken off and is super right now...Lots of action on really big sierra action is putting smiles on all faces. 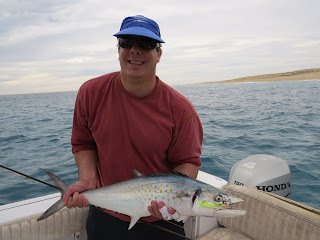 I mean some really nice fish... Also, some huge roosters around, they can be difficult to catch, but they are here and thats half the battle...Some big jacks also, and an occasional snapper...Smaller roosters around and are lots of fun on the appropriate tackle. 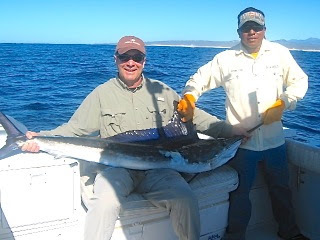 Brad and his boys having some Cabo fun! 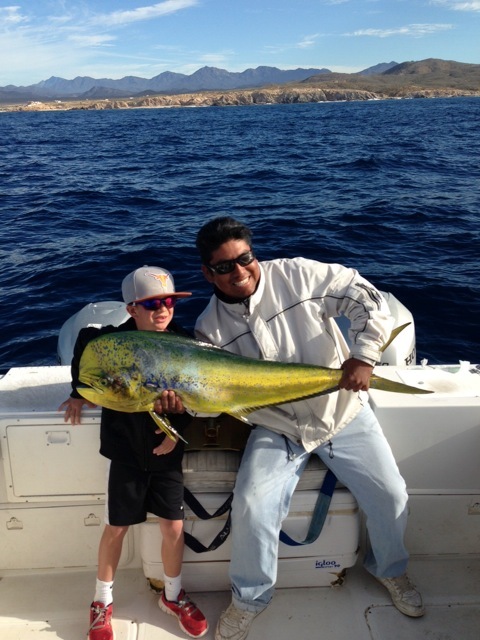 My family had a wonderful experience this morning fishing with baja anglers. Captain Nazario & Mate Ulises were first class and extremely helpful especially given we had 3 boys with us (11, 9, & 6). The fishing was great as well, we must have found a school of Dorado's bc all of our lines went tight at the same time. We were able to land 3 of the 4 and the boys had an experience bringing them in that they will never forget. Peter was supposed to come down with his good friend Kevin, but Kevin had to bail on him at the last moment Eat your heart out Kevin :) and Way to go Peter! 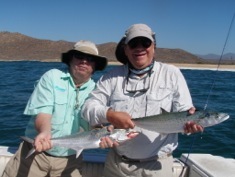 Mike and Arturo Nice dorado and wahoo on the fly. Way to go Dan Dunn! 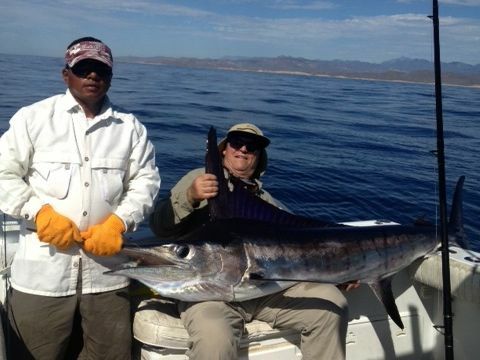 Nice Marlin! 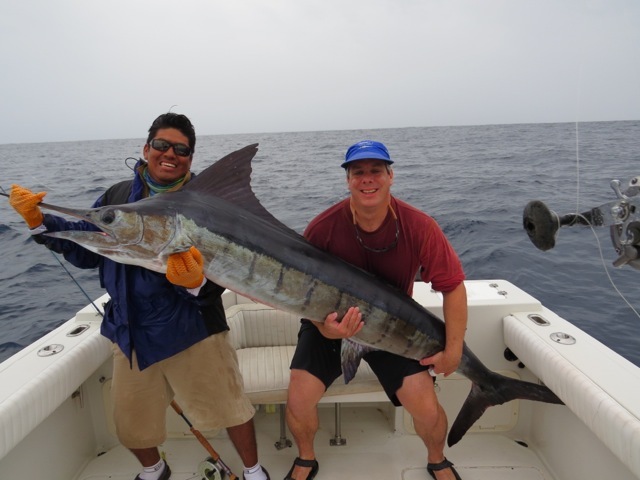 Matt Donaldson gets a beauty of striped marlin on the fly. Way to go Matt! 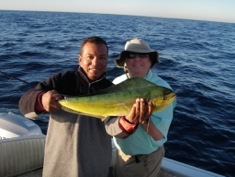 I wanted to thank you for 3 wonderful days of fishing on the water. 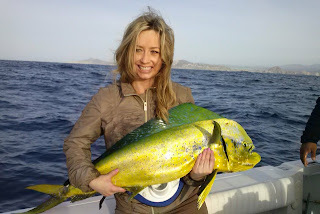 Also, it is clear they truly love what they do and it is important to them to give a great experience to their clients- they get as jazzed and fired up as I did when the fish were near. 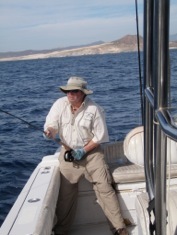 in a previous life I had been a guide for 6 years all over north america (not fishing- just heading through all the US/canada national parks) and I prided myself as being pretty good at my job, but I was not as good as your guides. So thank you for putting together such a tremendous product- I hope your business continues to boom- and I am sure it will with the way you run it.